Peanuts! Get your Peanuts right here! 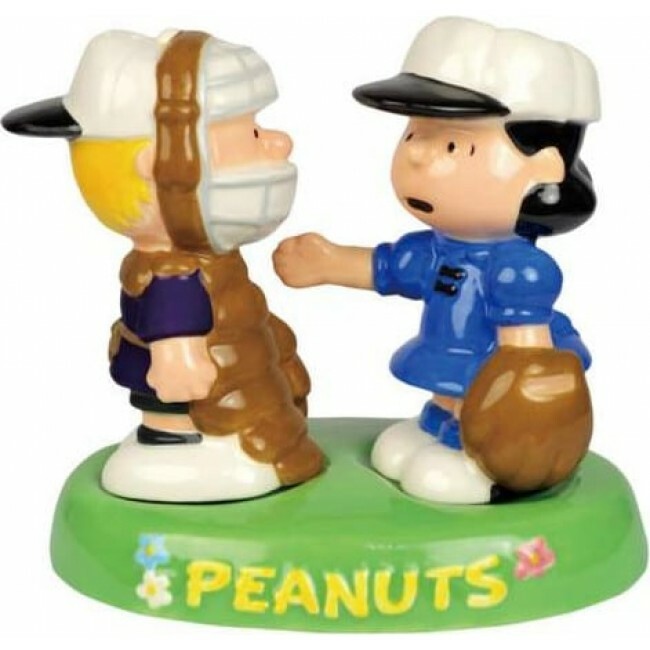 Make way for Schroeder and Lucy in this baseball-themed Peanuts Salt and Pepper Shaker Set. The amusing pair stands approximately 4 1/4-inches tall on an infield-like tray. Ages 13 and up.